You are here: Home » I Like to Do a Little Reading in My Off-Duty | Introducing Carolyn Bales to the Blog! 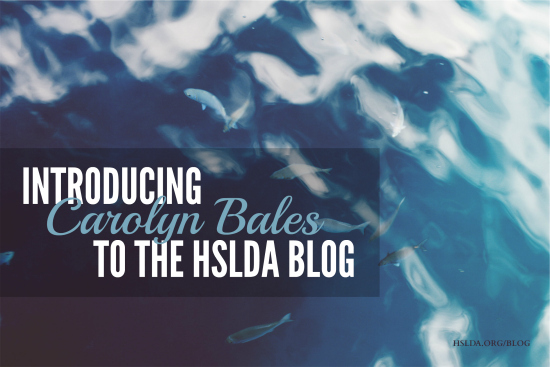 I Like to Do a Little Reading in My Off-Duty | Introducing Carolyn Bales to the Blog! My daughter, Meg, is sitting at the kitchen table with a screwdriver and a puddle of turquoise play-doh. We have a library book on Mesopotamia open to the cuneiform numbers, and she’s imitating them. Triangular reed stalks not being in season, I twisted a flat-head screwdriver for each print, and that worked pretty well. Meg prefers scraping triangles with a pine twig for added authenticity. I’m Carolyn. I get excited about dead languages, creating things, and coffee. It’s tricky choosing a favorite book, but I can quote most of Busman’s Honeymoon by Dorothy Sayers and spot a Narnia reference at fifty paces. Also, I have a favorite houseplant. This is why I don’t go to cocktail parties, because I would tell people about knitting, Akhenaton’s political correspondence, and houseplants. Meg is five, and she adores dinosaurs and the Octonauts. She likes craft projects and science experiments, the fizzier the better. Last night she galloped down the hall in dragon pajamas and a purple cowboy hat, riding a stick unicorn. Her favorite book this week is Tyrannosaurus Drip by Julia Donaldson, about a clever duck-billed dinosaur raised by the grim and grisly T-Rexes. 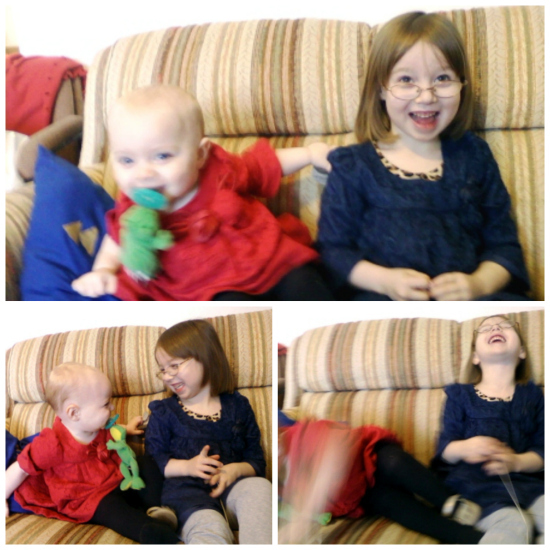 Kate is one, and she likes dolls, stuffed animals, her sister’s Octonauts, and M&Ms. She is very, very busy, but never too busy to sit and read with you. Her favorite book is Duck and Goose Find a Pumpkin by Tad Mills. My husband Jonathan amuses himself by outsmarting game engines and making spreadsheets stand up and dance. He likes libraries too, in the same way dragons take a mild interest in unattended jewelry boxes, and I have never met anyone who reads more quickly than he does. It is not uncommon for our dates to involve a library raid—I mean visit. He told me his favorite books, but they both had excessively long titles or authors, so I’m not including them here. I’ve always planned to homeschool, and this is our practice year. Next year we have to report to the state. On one hand, Jonathan and I are well-educated book people, so we’re confident; on the other hand, as second-generation homeschoolers, we know enough to be properly intimidated. We’re starting modestly: reading lots and lots of stories, doing math from workbooks, testing vinegar and baking soda, and covering world history from the beginning. You know, the usual. I’m not sure whether to be concerned or sure it’ll be awesome. Probably both. The play-doh has been put away, and Meg has moved onto paper crafts. She likes building sets of bows and arrows from paper, yarn, and drinking straws. I’m not sure what started this, other than that I had asked for a set for Christmas to go shoot things in the backyard, but she has been very productive. Between real and paper, from various people, I wound up with FOUR bows for Christmas. And she has created several more since then. I think I will give her red paper and we’ll hang them up with hearts for Valentine’s decorations. Photo Credit: First photo graphic design by Charity Klicka; collage of photos taken by Carolyn Bales, edited by Charity Klicka. ← A Journey Worth Starting | Introducing Amy Koons to the Blog!